The March 11, 2011 earthquake and tsunami that led to the explosions at the Fukushima nuclear power plant in Japan sent shock waves that are still being felt around the world. The fallout from this tragic event is driving countries away from nuclear power and increasing GHG intensive coal-fired energy production. This abandonment of nuclear energy could add a billion tonnes of additional GHG emissions by 2020. Japan and Germany, two of the world’s six largest CO2 emitters are already phasing out nuclear power and increasingly turning to fossil fuels for their energy. Other nations are also following their lead. As reported in the Guardian, construction work began on 38 reactors around the world between 2008 and 2010, but in 2011 and 2012, there have been only two construction starts. Globally, 13 percent of the world’s electricity is supplied by nuclear power, down from 18 percent in 1996. It is understandable that Japan is leery about nuclear’s savage power. On August 6, 1945, the nuclear bomb that was dropped on Hiroshima killed 140,000 people. The nuclear bomb that hit Nagasaki killed more than 70,000 people. Nagasaki mayor Tomihisa Taue spoke for many when he said Japan must develop safer energies such as solar and wind. Japan’s Prime Minister Naoto Kan also called for a shift from nuclear power to renewable energy. While the switch to renewables is entirely laudable, replacing nuclear with fossil fuels is lamentable. After the Fukushima incident, Japan closed almost all of their nuclear facilities to conduct safety checks. It is very unlikely that these nuclear reactors will be restarted. The cities of Osaka, Kyoto and Kobe have already told utility companies that they no longer wanted nuclear power. Japan’s nuclear power used to generate almost one third of the country’s power. Presently, only 2 of Japan’s 54 reactors are operational, and to make up for the energy shortfall, the country is increasingly turning to fossil fuels. Tokyo Electric Power Co. (TEPCO) used three times as much fuel oil and crude oil for electricity in February 2011 as it had the previous year. Drawing additional power from burning fossil fuels will significantly increase GHG emissions. According to Japan’s Institute of Energy Economics, a permanent shutdown of the country’s nuclear facilities would increase annual CO2 emissions by 60 million tonnes, or more than 5 percent. Fossil fuel-powered energy is increasing around the world as major industrial powers like Japan and Germany reduce their reliance on nuclear power. Germany has permanently shut down eight of its older nuclear reactors and has promised to close the remaining nine. All of Germany’s 17 nuclear power plants will be shut down by 2022. Germany began increasing its use of coal after the nuclear shutdown began. Although Germany is investing heavily in renewable sources of power, they will not be able to meet all of the lost production in the short-term. The corollary of this decision is that gas and coal-fired power plants will fill the void left by phasing out nuclear power. Over 20 coal-fired power plants are planned for Germany. Germany is moving away from nuclear power even though there is very little similarity between the threats confronted by the German and Japanese reactors. The Fukushima reactors where not destroyed by the earthquake, they were destroyed by a tsunami that crippled the plants’ cooling system. That is why it does not make sense for Germany, a largely landlocked nation, to fear a Fukushima-style meltdown. Germany is also compounding the problem by encouraging other countries to follow their lead. Some analysts say the shutdown of German nuclear reactors will push up German CO2 emissions by between 40 million and 60 million tonnes a year, about 6 per cent. The additional German emissions could add up to more than 300 million tonnes by 2020, which, according to the World Nuclear Association, would “virtually cancel out the 335-million-tonne savings intended to be achieved in the entire European Union by the 2011 Energy Efficiency Directive”. Ironically, importing nuclear power from neighbors like France may be the only way for Germany to keep its promise to cut CO2 emissions by more than 20 per cent by 2020. In the U.S., nuclear power provides between 10 and 20 percent of the country’s electricity. 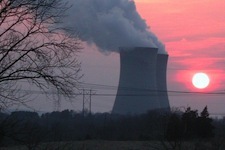 President Obama’s 2013 budget proposal includes $770 million for nuclear energy. However, it has been years since a new nuclear plant has been constructed in the U.S. Since the Fukushima incident, the U.S. Energy Information Administration (EIA) reports that U.S. nuclear energy production has not increased. EIA data indicates that renewables have surpassed nuclear energy production in the U.S. While this is a promising trend, it is premature to say that renewable energy can replace nuclear energy any time in the near future. Renewable energy is undeniably the best energy option, but it will take years before it can provide the majority of America’s energy requirements. Nuclear may be a part of America’s energy mix for the foreseeable future, but risks will have to be managed better than they are being managed today. Overall, there are 104 nuclear reactors at 65 sites across the U.S., nine of them located within 2 miles of the coast. It makes sense to impose a moratorium on building nuclear reactors in seismically active areas or near the coasts until a sweeping safety review is completed. It also makes sense to build nuclear reactors that can withstand storm surges, floods and extreme weather. It does not make sense to phase out nuclear power altogether. The Nuclear Regulatory Commission (NRC) has vowed to implement recommendations from the agency’s Japan Lessons-Learned Task Force, which will evaluate U.S. plants for their resistance to seismic and flooding events. However, a report released March 6, 2012, by the Union of Concerned Scientists (UCS), titled U.S. Nuclear Power Safety One Year After Fukushima, criticizes the NRC saying that it is jeopardizing reform by failing to heed its post-Fukushima task force’s top recommendation. A new mapping tool, which calculates the route and impact of radioactive plumes in the event of a Fukushima style incident in the U.S., was released March 5 by the Natural Resources Defense Council (NRDC). The NRDC has communicated concerns related to seismic activity, floods, hydrogen explosions, adequate venting, and transparency. Italy has abandoned nuclear power, which was voted down in a referendum after the 1986 Chernobyl disaster. Post Fukushima Switzerland has decided to abandon plans for future plants. China initially delayed construction of new nuclear plants, although they now appear to be moving forward with nine reactors under construction. France intends to continue with nuclear as it operates more than 50 reactors that generate 39 percent of the nation’s total power output. The UK and India still intend to resume building nuclear power plants. France is joined by countries like Finland in undertaking third generation nuclear power projects. Russia has four nuclear power plants under construction and India has five. As reported by Reuters, South Korea currently operates 21 reactors, which meet one-third of the country’s energy needs, and 13 additional reactors are planned by 2024. Canada’s nuclear energy program avoids about 90 million tonnes of GHG emissions (equivalent to the exhaust of 18 million cars) per year. Since 1972, this has helped Canada avoid more than 2.4 billion tonnes of GHG emissions. In these and other countries, nuclear is a better option than more coal-powered energy. Countries that opt to abstain from using nuclear power commonly turn to coal to meet more of their energy requirements. We hear a lot about nations like India and China building coal power plants, but even traditionally green nations are guilty of similar crimes against the environment. For example, the Dutch are known for being environmentally conscious, but due to the controversy surrounding nuclear power, the Netherlands is planning to build three new coal-fired power stations. This supports the hypothesis that misinformation about nuclear power trumps concerns about the environment. The safe operation of nuclear power plants will be aggravated by climate change. In the age of global warming, additional safeguards are required to make nuclear power safer. Nuclear reactors are located adjacent to sources of water for cooling. With many of the world’s 442 nuclear power reactors located by the sea, these power plants must integrate additional safeguards against flooding and tsunamis. This is a legitimate concern as ocean levels are rising due to global warming. Even nuclear reactors located near inland waterways pose problems because they remain vulnerable to heat waves, which are another corollary of climate change. A 2003 heat wave in Europe forced Electricite de France to close or lower output at about half its 19 nuclear plants because of temperature limits on the water it returns to rivers. There are still other issues for nuclear reactors related to climate change that are not typically subject to heat waves or water-born risks. Tornadoes, also a corollary of climate change, are increasingly a concern. Last year tornadoes crippled three nuclear reactors in Browns Ferry in Athens, Ala., and knocked out power at two nuclear reactors at Surry Power Station in Surry, Va.
Nuclear power is expensive and fraught with concerns, but the fact that it generates energy without emissions makes it indispensable in the short term. The Fukushima disaster, like the meltdowns in Chernobyl and Three Mile Island, illustrate the dangers. Common sense dictates that we must assess and address the design weaknesses of nuclear reactors to reduce the risks. Despite difficult economic times we should not fall prey to gas and coal just because they are “cheap” and abundant. We need more investments in renewable energy, but we also need nuclear power to minimize the emissions that come from energy derived from fossil fuels. Even if we ignore the short-term health impacts from gas and coal-fired energy generation, the costs of failing to reduce emissions override the economics of energy generated from fossil fuels. We are faced with some difficult choices, but if we are serious about bringing atmospheric GHGs down to acceptable levels, nuclear power must be part of the world’s energy mix. Although no one died in the Fukushima explosion, if the global nuclear industry dies, it will take the climate with it. While carbon dioxide is not the principle waste of nuclear power plants, nuclear power doesn’t generate electricity without carbon emissions. Nuclear power requires fuel, which must be mined, processed, and transported. Each of those processes uses fossil fuel. The plants must be managed and guarded. Along with electricity, nuclear power plants produce heat, which is vented into the biosphere and radioactive waste which must be managed. Solar, wind, geothermal, marine current and other hydro do not require fuel. While manufacturing and installing renewable and sustainable systems has a carbon and resource footprint the lack of fuel is a significant differentiator.